An NRC client experienced an unfortunate hose failure on a refuelling pump, resulting in a 6m3 (50 BBL) spill of diesel fuel into an access road and local river. Six local NRC responders were mobilised as well as response equipment such as 4×4 vehicles, sorbents, PPE, booms, pumps, easy tanks. Boom was deployed in the primary response area located 75m away from the spill source and secondary boom was deployed 150m away from the source. 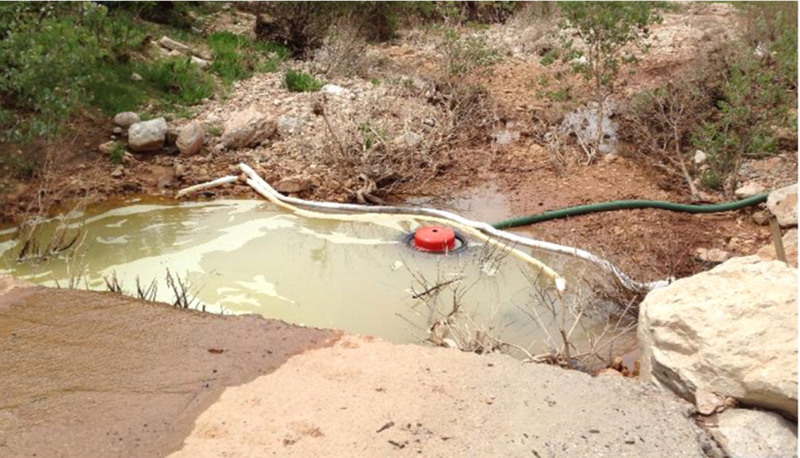 A pool of diesel which sat 175m from the source, was recovered using a weir skimmer. The clean-up was successful and took 17 days. The response team cleaned the contaminated ground and river to ensure it was back to its natural state.